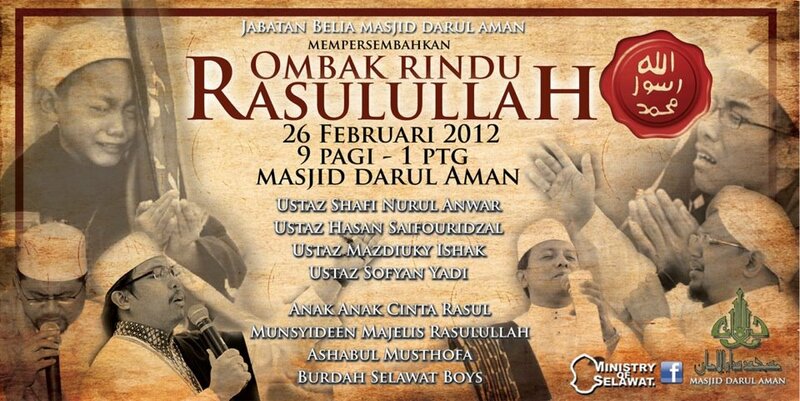 This Sunday, 26 February 2012 – 9.00 a.m @ Masjid Darul Aman. Yes! Jemaah from Masjid An-Nur will convoy together to Masjid Darul Aman. It’s all for the love for Rasulullah S.A.W. Join us! !